The black-powder musket uses black-powder cartridges for ammunition. A cartridge can be crafted from paper, gunpowder, and a lead nugget. Simply having a stack of cartridges in your inventory will allow you to load your musket. To load the musket, you must hold right-click for several seconds until you hear the mechanism click (consuming a black-powder cartridge in the process). 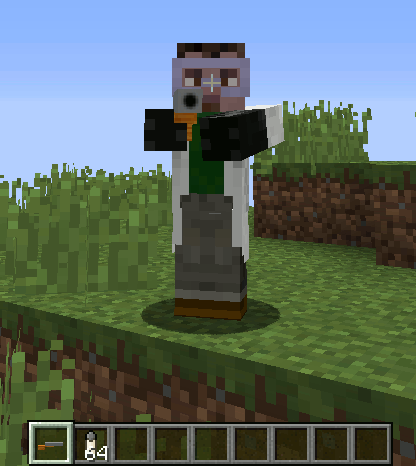 Once loaded, you aim the gun like a bow and fire! Deals 10 hearts of damage (configurable), making it a one-hit kill against most monsters. 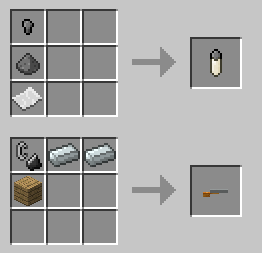 The musket can be enchanted on an enchantment table.